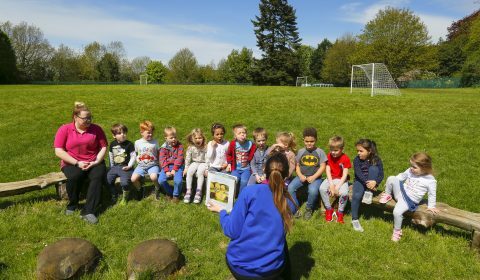 BarBar Nursery Ltd at The Rosary School is a 24 place private pre-school, nursery and Out of School Club set in a beautiful location close to Stroud town centre. 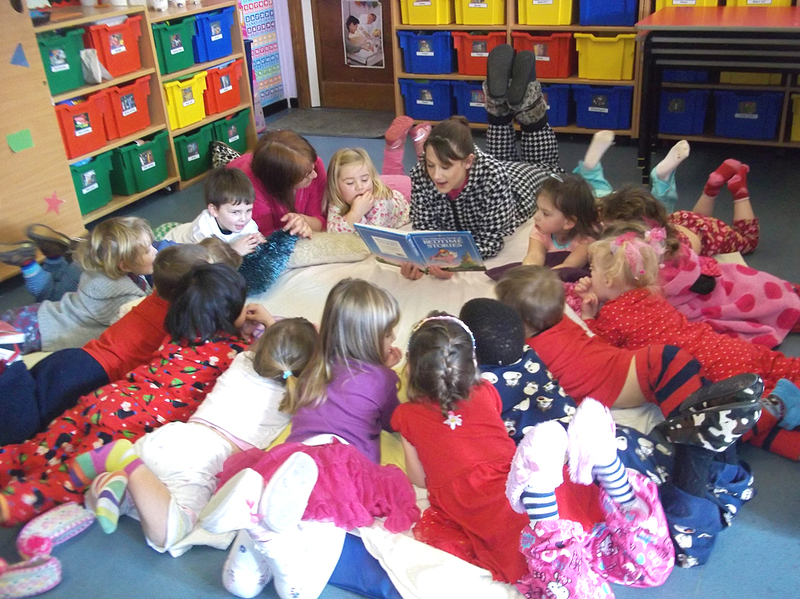 At BarBar we promote a relaxed and happy atmosphere to enable the children to feel safe, settled and secure. 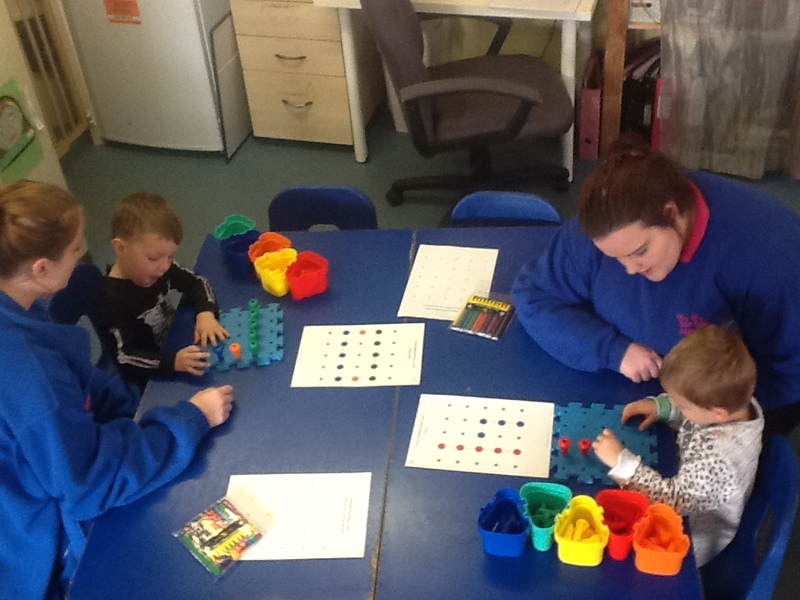 Whilst providing a stimulating learning environment, we are also preparing the children for school life. 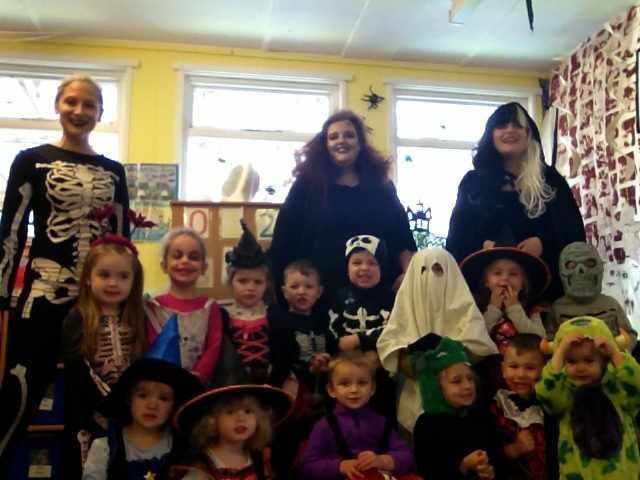 The setting is open term time only and caters for children from 2 years of age. 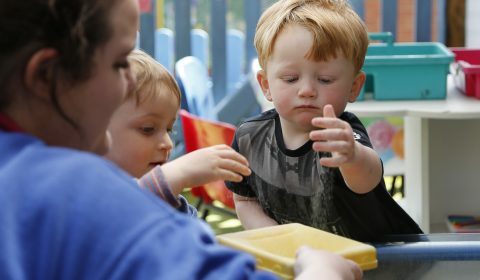 Our preschool session accepts up to 24 children each day. 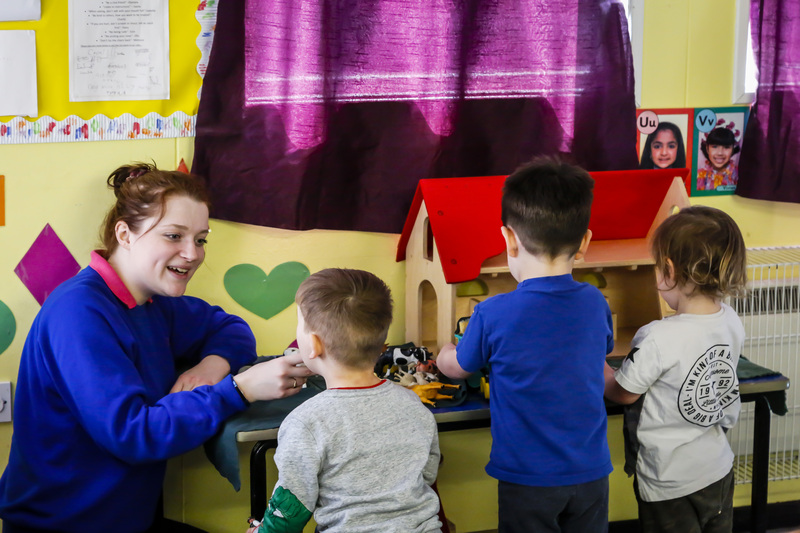 Our preschool sessions are 9:00am to12:00noon and 12:00noon to 3:00pm, or 9:00am to 3:00pm. 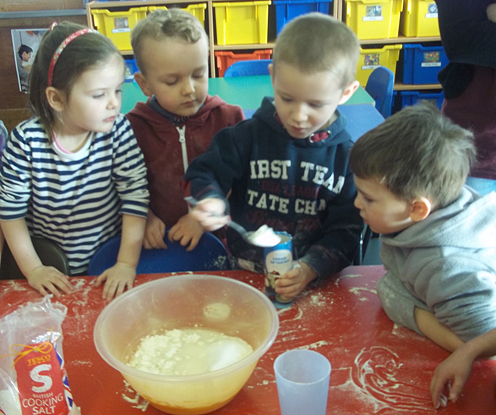 Preschool children are also welcome to attend 8:00am to 6:00pm in our breakfast and after school clubs. 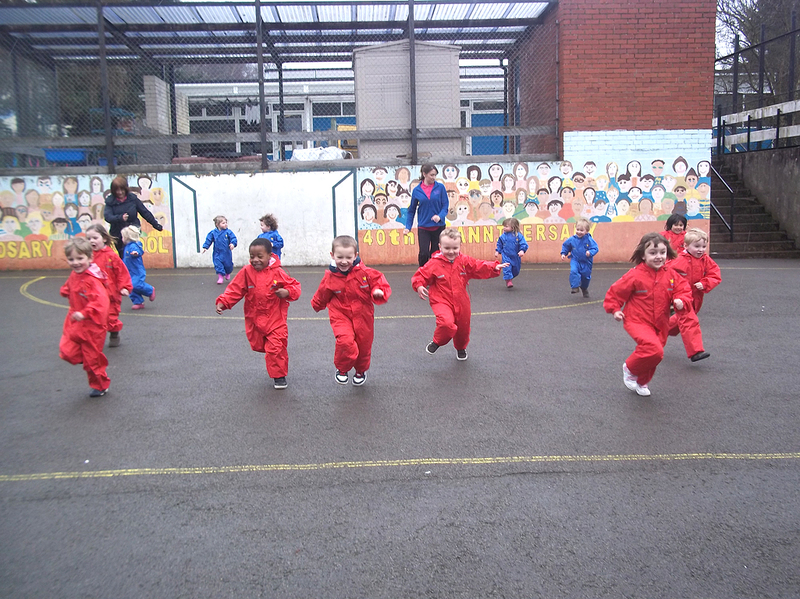 Children from The Rosary School can come to breakfast club between 8.00am and 8.45am. BarBar also has an After School Club facility from 3:15pm to 6:00pm. 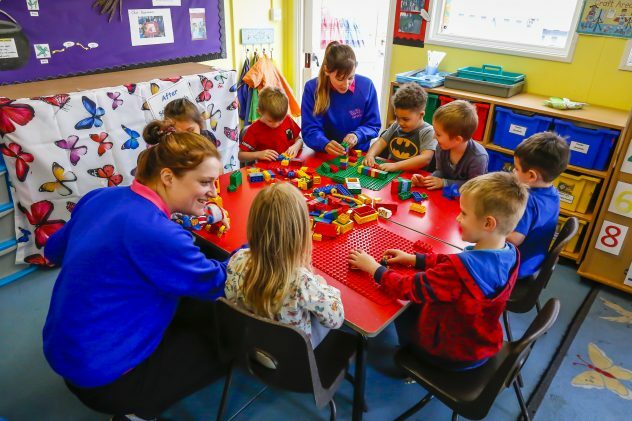 Inside the nursery, the children access one bright and airy playroom with craft areas, a quiet/book and story corner, a home corner, sensory area, small world area and table areas for games, puzzles and play dough etc. 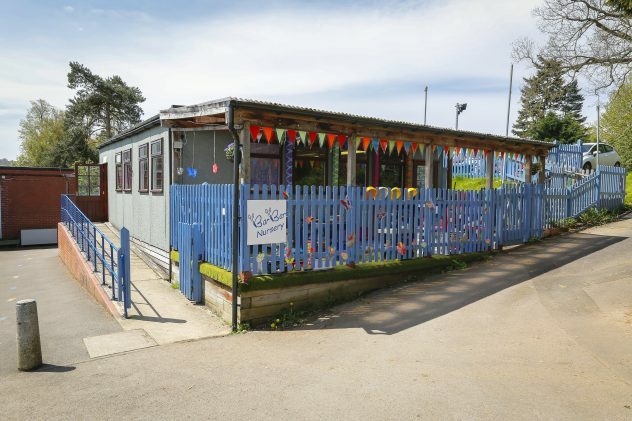 There is also a small kitchen for the preparation of snacks, children’s toilets, nappy changing facilities and a children’s cloakroom. 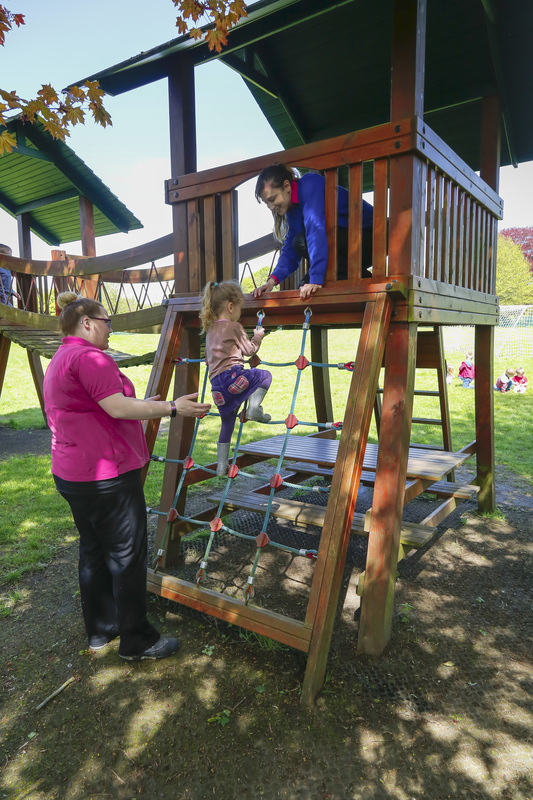 Outside the nursery we have a purpose built covered play area with a “soft landings” play surface. 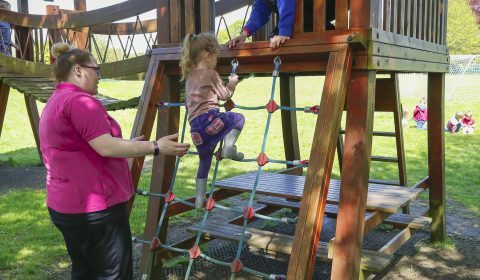 There is a secure pathway with a few steps along the side of our building to allow the children to access our top play area independently, which contains our large play equipment, bikes, cars etc. 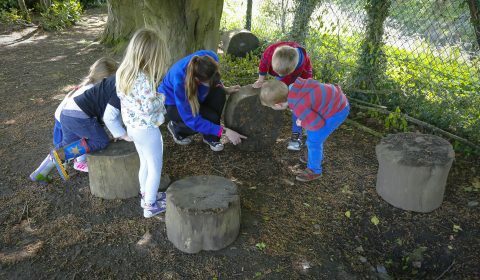 Our play areas allow the children the freedom to play indoors and out all year round. 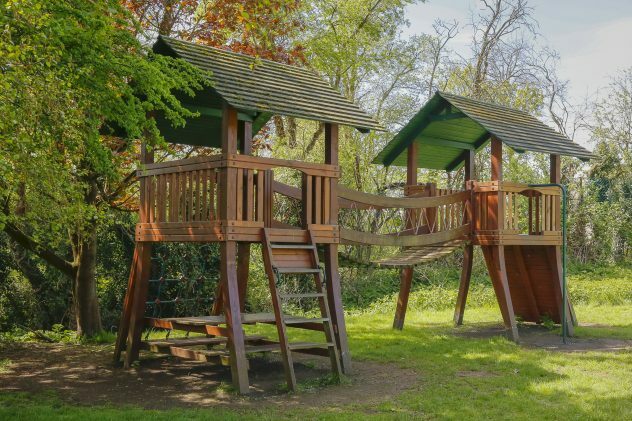 The children also use the facilities of the school playing field and the playground daily, and occasionally we visit nearby parkland and the duck pond. We also go on two annual organised trips linking with our two sister settings. 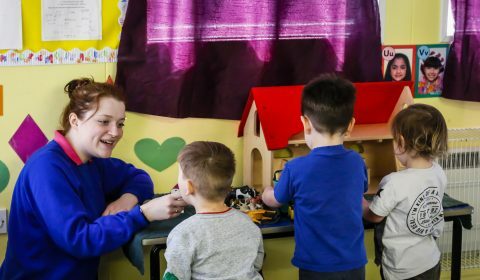 At BarBar we promote teaching to ensure children are prepared for school life, and to give children the broad range of knowledge and skills to provide the right foundations for good future progress, through school and onto later life. The children at BarBar follow a daily routine. 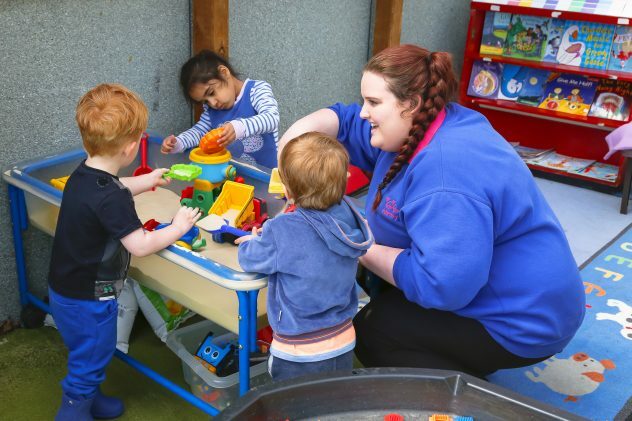 This includes free play, adult lead activities, outdoor play, music and movement or baby yoga sessions, circle times including letters and sounds, singing and stories, as well as the Nexus pegs to paper programme. 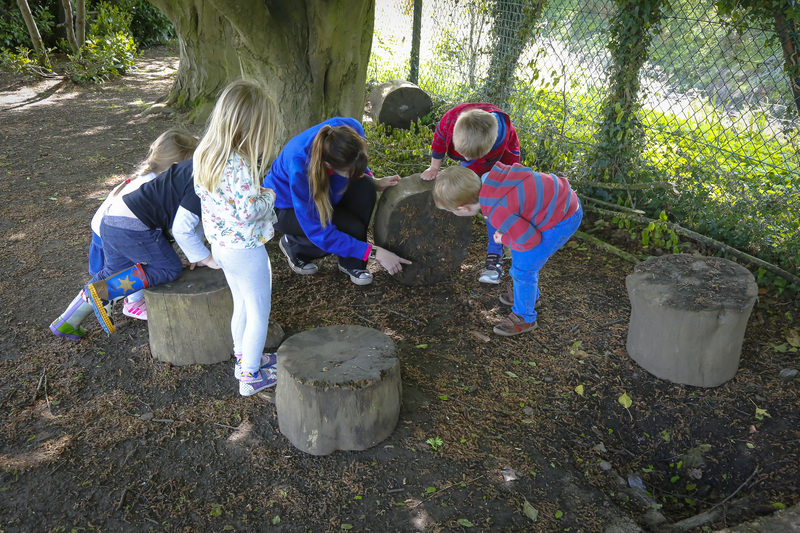 Our planning is child driven allowing the children to further develop their interests; staff regularly observe the children in all their aspects of play and parents are sent daily updates online highlighting their child’s progress. 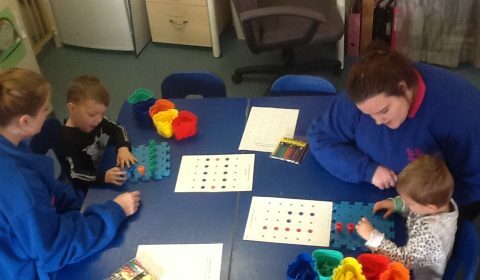 By using this information, the staff make plans to extend each child’s learning on an individual basis, allowing the children to move on at a pace that suits their ability. 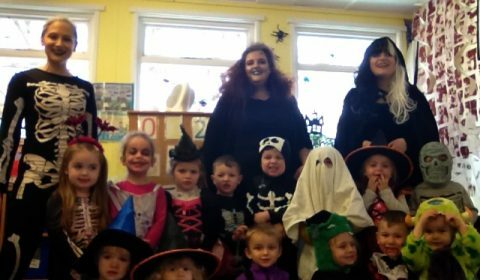 The children each have their own online learning journeys which make lovely keepsakes of their time with us. Parents are encouraged to visit either with or without their children. This allows for staff to answer any questions or queries that they may have- after all you will be trusting us with your most valuable possession! 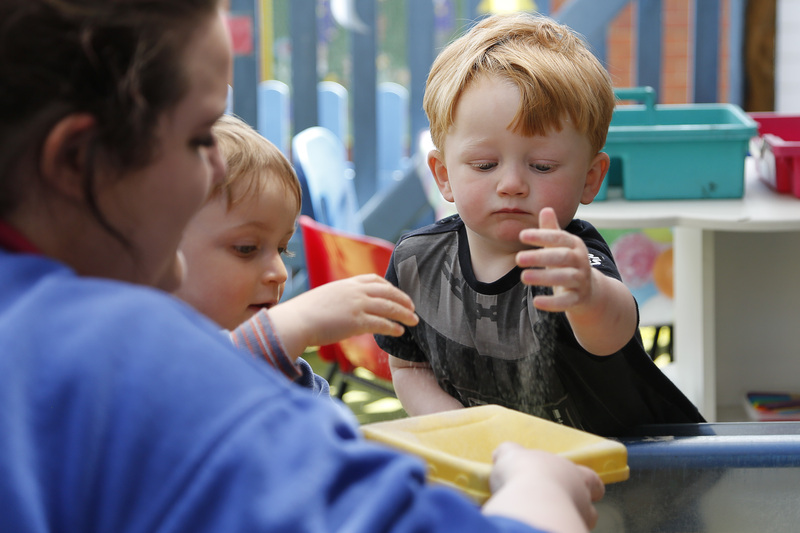 We use this time to understand your aspirations for your child whilst they are with us. 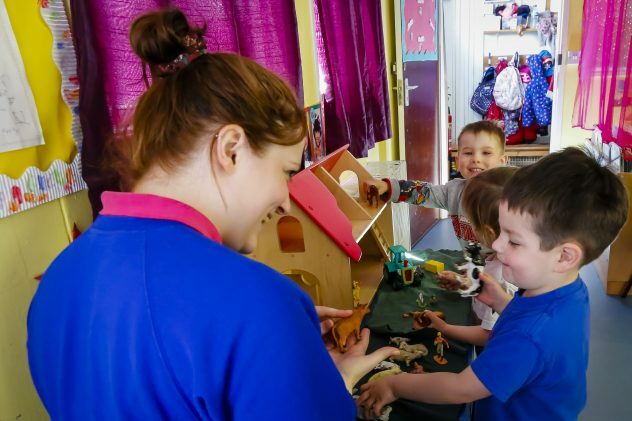 We discuss how you want to settle your child in at BarBar and tailor this to suit individual families – after all, every child is unique. 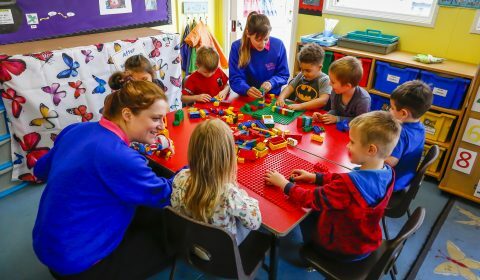 Some parents are happy to leave their child and others prefer to bring their children in for a few sessions and stay and play and observe them before heading off to work. We will tell you that “you know your child best” and as such we will be guided by you. 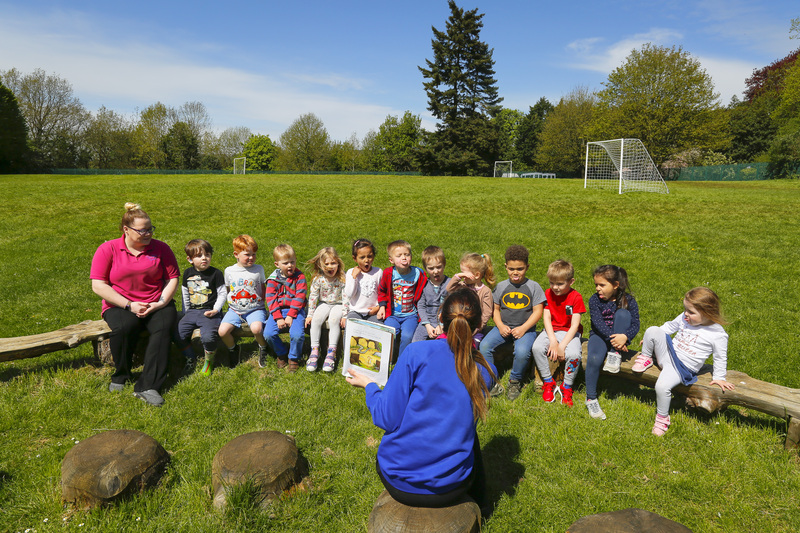 Story time outside, enjoying the sun!